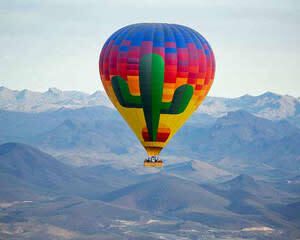 Give someone you love a hot air balloon ride voucher, and they’ll get to choose where and when they use it. 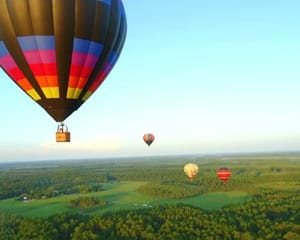 Adrenaline compares Hot Air Balloon prices from all over the states, so you can purchase hot air ballooning adventures and gift vouchers with confidence! 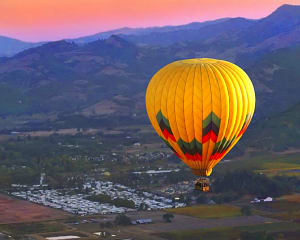 Our hot air balloon purchase guarantee means we've got the best prices available in USA - find cheaper hot air balloon flights advertised elsewhere and we'll match them! So how does it work? 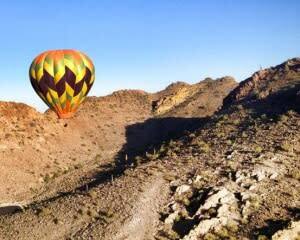 Hot Air Balloon flights take off early in the morning during what is called a ‘weather window’. 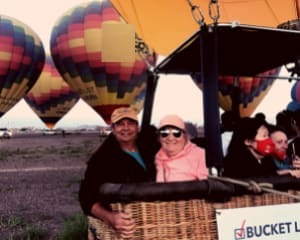 One of the great joys of hot air ballooning is its tranquility as you float with the breeze, feeling absolutely no sensation of movement. You have become the wind... you are moving with it... and therefore you have become a part of a complex weather system that is ever changing. 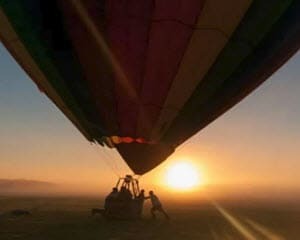 We always stress that we meet early and it is important for you to be on time for your hot air balloon ride. Why? The air is usually much cooler and more stable during the first few hours of the morning. As the sun rises, it warms up the ground. The ground can only absorb so much heat, it then starts to radiate this extra heat back. This is one of the causes of wind currents and turbulence. 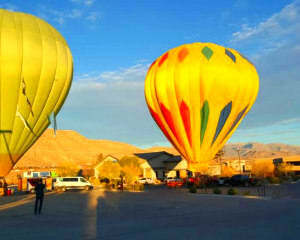 We need to fly our hot air balloons while the air remains stable, and not affected by the day's wind currents. This time is generally 2 to 4 hours after sunrise, although it does depend on the time of year. This is our "weather window". 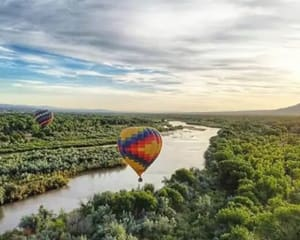 Our ballooning pilots usually fly in 2 or more different launch sites, with each location chosen for their excellent ballooning conditions, as well as spectacular beauty. 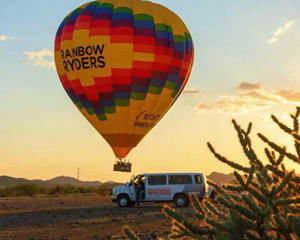 If a Hot Air Ballooning adventure is cancelled due to poor weather, Adrenaline offers a free rebooking service for any Hot Air Ballooning location in USA, so you can swap your Hot Air Balloon ride to go on a flight somewhere else at a later date.